Enjoy your Christmas function at Mejico CBD, INDU or Mejico Miranda. No matter what your function size, from an intimate gathering of 4, to a sit down meal for 30 or a whole venue party of 120, Sam Prince Hospitality Group has something for you. Elegant, intoxicating and welcoming, INDU is located in a cosy basement in Angel Place in the Sydney CBD. 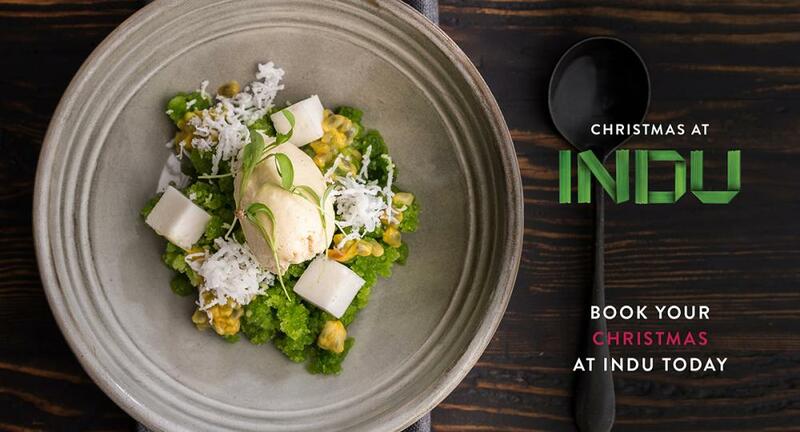 Serving modern, light and fresh southern Indian and Sri Lankan cuisine, INDU is a feast for all five senses. Having just launched a new menu, there is no better time to book your group to experience something truly unique. Perfect for intimate groups of two up to larger groups, INDU also has two private dining rooms seating 12 people each. Enjoy the Classic Christmas Feast featuring INDU’s brand-new menu and festive decorations for $70pp, or add a Christmas cocktail for $80pp. You can also upgrade to the Deluxe Christmas Feast for $85pp and add a Christmas cocktail $95pp. What better way to let your hair down after a big year full of hard work than with a Mexican fiesta? Located on Pitt Street in the heart of the CBD, Mejico has feast and drinks packages available this Christmas. Catering sit down functions for groups of up to 120, Mejico's menu can be altered to fit all dietary needs. With a collection of over 250 tequilas, Mejico is the ultimate feel good venue for your Christmas party. Enjoy the Classic 4 Course Christmas Feast featuring a special dessert and festive decorations for $69pp, and add a cocktail on arrival for $79pp. Or upgrade to the Deluxe Christmas Feast for $89pp, and add a cocktail on arrival for $99pp. If you're looking for something a little more involved, Mejico offers Margarita and Tequila Masterclasses perfect to get the team in the spirit. Learn about this iconic Mexican spirit, taste different varieties and learn how to make a margarita! Located in the Sutherland Shire, in Westfield Miranda, Mejico Miranda is the ultimate Christmas party destination in the Shire. With a private function space upstairs, Mejico is perfect for large team Christmas parties who want the freedom of their own space. Mejico Miranda offers both sit down and canape style functions and has feast packages available. Enjoy the Classic 4 Course Christmas Feast featuring Mejico’s famous guacamole and festive decorations for $50pp and add a cocktail on arrival for $60pp. Or try the Deluxe Christmas Feast for $65pp and add a cocktail on arrival for $75pp. If you've got a larger group and you're looking for a Canape Christmas, try your choice of 5 canapes for $45pp, choice of 7 for $55pp or choice of 9 for $65pp. Also providing Tequila and Margarita Masterclasses, Mejico Miranda can provide a great night out for teams large and small. Mejico Miranda caters for all dietary requirements. Want to be one of the first to try our hot new restaurant? Opening later this year, just in time for Christmas, Kid Kyoto will serve alternative Japanese cuisine set to a punk rock soundtrack from the 80's and 90's. Taking Christmas function enquiries only.